NQ Wildlife Management Consultant P/L have Spotter/Catcher services for all your landclearing requirements. We offer Spotter/Catcher services for all your land clearing needs. From large scale land clearing to solitary tree removal or dam draining, no job is too big or too small. 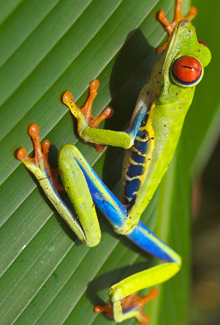 Taipans and Crocodiles to Sugar Gliders, frogs and Kingfishers, no wildlife is a problem for us. We can also provide Fauna surveys with full reports on Terrestrial, Aquatic and Arboreal habitats and Species Management in defined areas. We can deal with Micro Bat or flying fox problems considering the Lyssivirus. Servicing clients with a Permit to Clear in the mining industry, Domestic Subdivisions, Main Roads, Rail lines or any Civil Infrastructure requiring a Spotter/Catcher. Any client looking to maintain infrastructure and has a Species Management Plan will also require Spotter/Catcher services with a current Rehabilitation Permit. We Have Veteranarians and Fauna carers on stand by for all rehabilitation of fauna. Damage Mitigation Permit Covers the relocation of all snakes, problem birds and the mitigation of Brushtail Possums in all areas, rural or residential. We offer to Fauna Parks capture, restraint and/or relocation of any size crocodile, cassowarys or any other potentially dangerous animal. 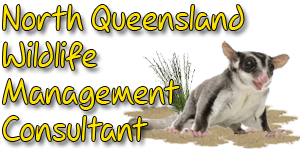 Rehabilitation Permit held by NQWMC P/L covers all Fauna species in Queensland. NQWMC P/L has 20 years of wildlife handling and behavioural experience and implements strategies to limit fauna injuries and interactions while not slowing down the landclearing process.